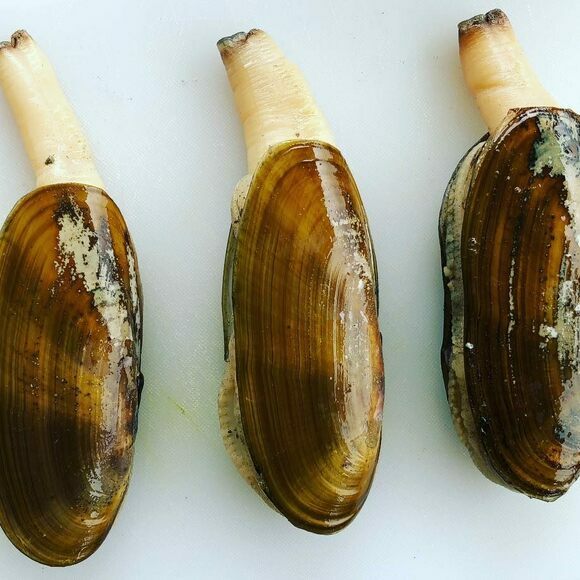 Hearing “razor clam” might bring to mind the long, rectangular Atlantic variety (Ensis directus). But the Pacific razor clam (Siliqua patula) is an ovular, meaty bivalve that’s a far cry from its East Coast counterpart. The Northwestern clam makes its home along the coasts of Washington and British Colombia, where fans stand outside, often in the rain and while it’s still dark, just to dig for shelled morsels.